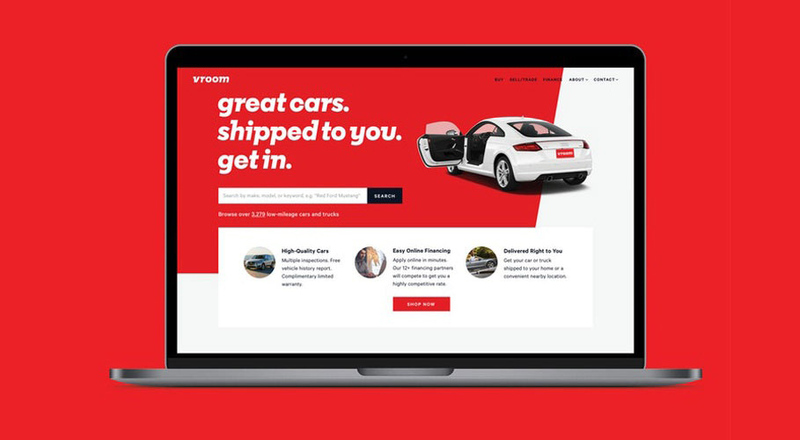 Vroom, the online used car retailer has been branded by Pentagram with the aim of emphasising the “convenience” and “ease of use” of the website, while avoiding the high-pressure car sales image. 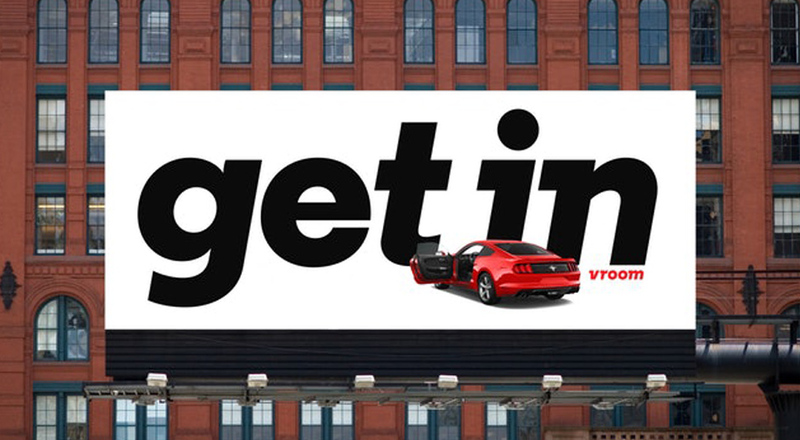 Vroom gives customers the opportunity to buy a quality second hand car in minutes, according to the company, and then subsequently have it delivered to your door. 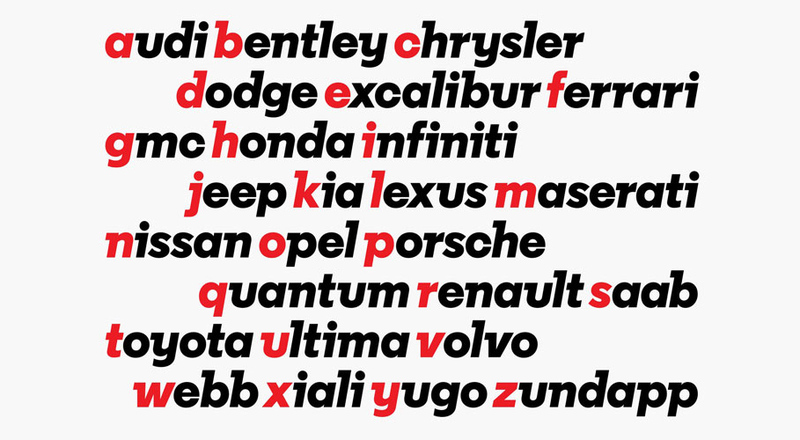 A custom typeface, Vroom Sans, was created for the branding, which is italicised in a forward motion. The new typeface is based on Regular Extrabold Italic, designed by Henrik Kubel at A2-Type. 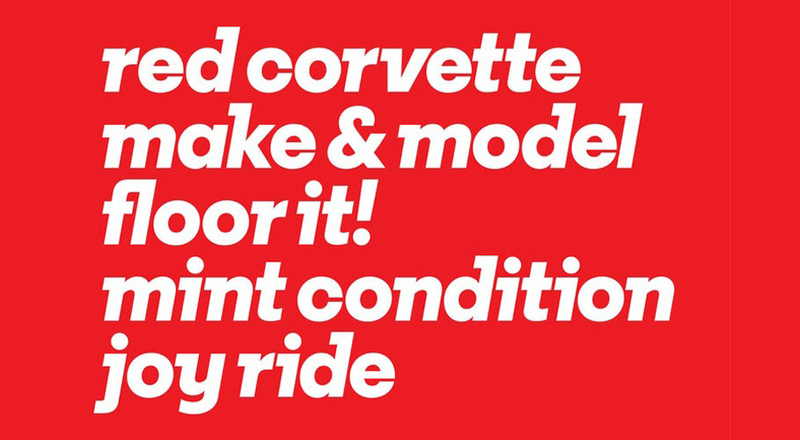 Pentagram collaborated with Kubel on the Vroom typeface to add “trailing slab serifs like racing fins and descenders with swooping curves,” say Pentagram. A bright read was used for the palette as the main colour, with black and white included, which the studio says was used from “speedway racing flags”. “I’ve always thought that red was the best color for a car, and whenever the subject came up in meetings with the client I would sing the chorus of “Little Red Corvette” in my best falsetto,” says Beirut. 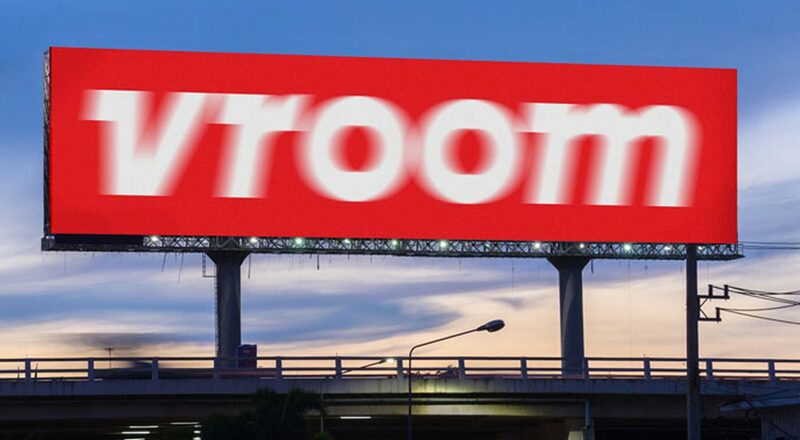 One of Vroom’s taglines is “Thousands of cars. Not a salesman in sight,” so the studio decided to keep away from anything that would counter this. “In the US there is a long folky tradition of the hyped up person-to-person retail environment of used car sales,” Bierut says. The studio deliberately avoided using exclamation marks and starbursts for this reason. 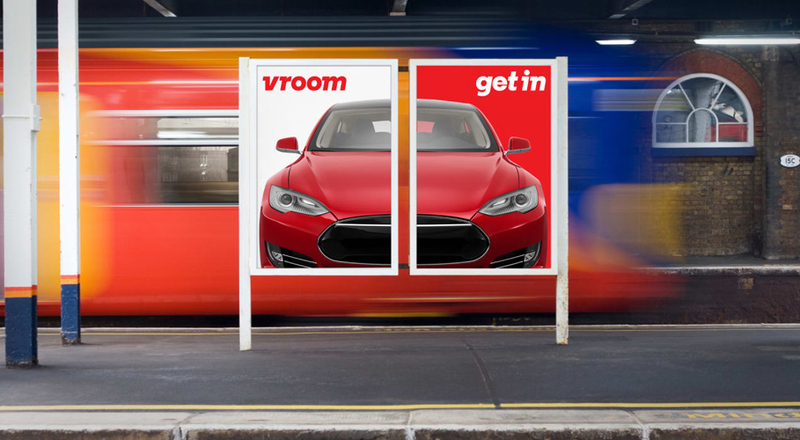 One example is where a poster advert shows the Vroom wordmark repeated multiple times, getting smaller but with the Os increasing while fading into the distance. There is a Land Rover at the front on a red background. 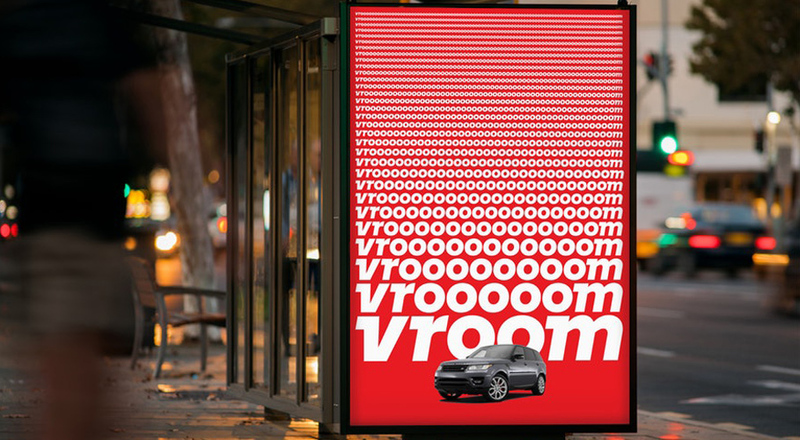 The scaling is used to “express Vroom’s dynamic point of view,” say the studio. 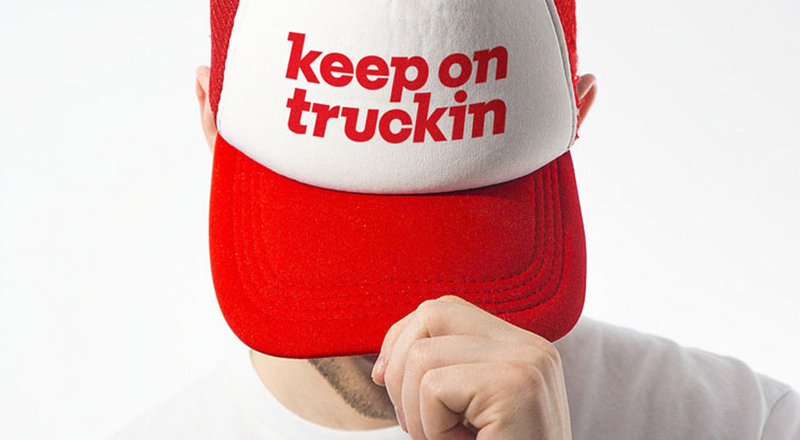 “In a way we were blessed at the outset with a good name, so we just tried to in a humble sort of way acknowledge that we had something good,” adds Beirut.